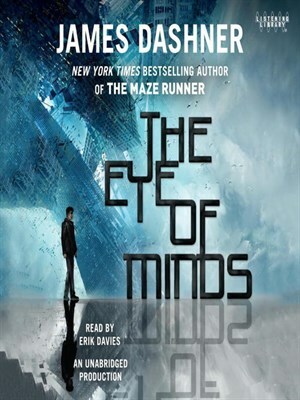 James Dashner’s The Eye of Minds is an action thriller with Michael, Bryson and Sarah, the main characters, hacking their way through the VirtNet. VirtNet is a game where everything appears the same as the real world. It also is a system where gamers can feel, think, eat, drink, and interact with friends/Virtfriends, and even die if their core is ripped out. All three of them are trying to stop the evil villain from transforming tangents into humans. Tangents are virtual people, who are extremely intelligent. But not many people can tell the difference between tangent and human gamer. Most people who have the gaming system spend more of their time in the VirtNet than in the real world. The more gamers hack, the more fun they have, but sometimes there are rules for reasons. A hacker is trapping other gamers inside the Sleep and not letting them return to the Wake! VNS, the makers of the VirtNet, says “To catch a hacker you need a hacker,” and they have been watching Michael, Bryson and Sarah. The three are the ones they want. They all are exceptional hackers and that’s why VNS wants them to catch the person behind all of this. 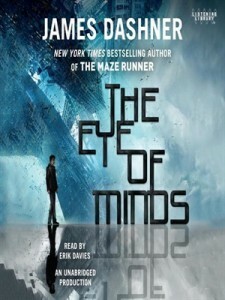 Throughout the book James Dashner describes the adventure and feelings of the three main characters through the journey to stop a tagant. The book states: “You’ve been in Kaine’s presence. The difference in programming is ever so slight, but it’s there for the taking if you know where to look. I think your friend finally realized the truth, and it was too much for him to handle. He panicked and lost his way on the Path because of it.” This book is great for people who are interested in adventure, gaming, some violence, and emotion. James Dashner intrigues the reader when they read the first chapter with “Tanya tightened her grip on the pole with one hand, then reached up with the other and started digging into her own flesh.” She did this to rip out her core, and if she did, she would die in real life. This is one of the parts where there is an unpleasant image, but it is so interesting to read and picture in your head. The Eye of Minds teaches the reader that you have to trust yourself, believe in yourself, and never give up on yourself or your friends. I liked that Michael, Bryson, and Sarah were together since the beginning of the novel and never gave up even if they were about to die. The three friends kept on trying and trying to find the entrance to the Path and that is what helped me through the story with their hope and determination. The novel’s emotions through the characters helped with imaging what was happening and I could see it in my mind. I liked this book because it had a lot of action and emotion between the three friends. The Eye of Minds was a wonderful story that portrayed the connection between three friends and the determination to find a way to help VNS. I hope you find this book is as excellent as I did.